Write a letter of proposal to your Mayor and Councillors. 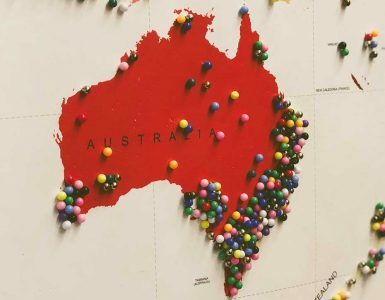 It is important to highlight the level of community support for refugees and people seeking asylum, the benefits of becoming a Refugee Welcome Zone and opportunities to work with local groups and organisations and support groups. You should also enclose a copy of the Refugee Welcome Zone information for councils. If you work for a local organisation or are part of a community support group which provides assistance to refugees invite your Mayor and Councillors to visit you. This provides a great opportunity to showcase the work you do. Request an opportunity to present the proposal at a Council meeting. Contact RCOA to let us know about your proposal. We can provide further information and advice and approach your Council to support the proposal. The process for becoming a Refugee Welcome Zone is very straightforward and simply involves the Council signing the Refugee Welcome Zone Declaration. To mark the occasion of becoming a Refugee Welcome Zone, many Councils and Shires choose to hold public signing ceremonies to highlight the initiative and acknowledge the work of local groups and individuals that support refugees and people seeking asylum. To request a representative from the Refugee Council of Australia to attend a ceremony, get in touch with our head office on (02) 9211 9333. Local Government has historically played an important role in assisting refugee settlement and promoting community harmony. Becoming a Refugee Welcome Zone is a way to continue this proud tradition of supporting the settlement of refugees. It can motivate Local Government and local organisations and support groups to work together more effectively so as to improve settlement outcomes for refugees. Signing the Declaration can also promote harmony, social cohesion and respect for human rights in your local community. It is a great way to demonstrate support for refugees and take a strong stand against racism and discrimination. It can help to raise awareness about the issues affecting refugees, foster a culture of mutual respect and promote an appreciation of cultural diversity.